As a kid, our parents want us to hang around the good kids. If you get in with the good kids, it also makes you look good and stay away from trouble. Who you hang out with is a reflection of one’s own morals and values, as well as your family. No one wants a kid who’s a delinquent. In today’s modern world, that lesson is quickly forgotten as millions have decided to hang around and share some bad information from a not so truthful guy who made a lovely threat asking his followers to kill those who support biotech. Do you hang around those delinquents? Remember that you are who you associate with. It’s so not surprising that Mike Adams of the prolific anti-GMO Natural News website is resorting to calling for threats against those who support biotechnology. 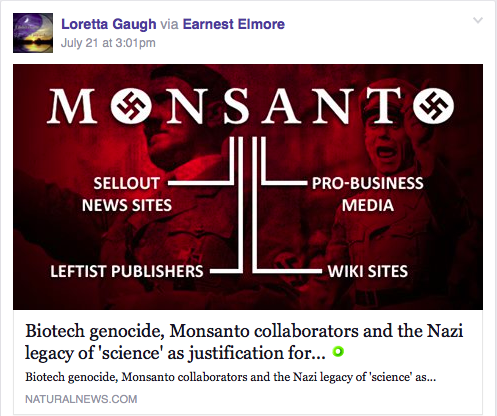 He quickly set up a website, Monsanto Collaborators, hours before announcing this threat on Natural News itself. 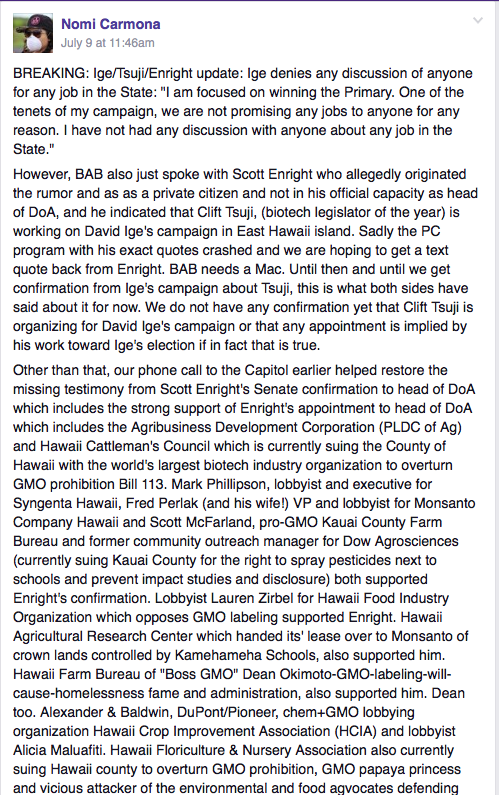 He has been a huge proponent of fear mongering among the Hawaii anti-GMO movement here and it’s no surprise that he has a myriad of complaints being lodged against him with the FBI as a result. This guy is an insult to most people’s intelligence but unfortunately, so many activists in Hawaii love this dude who accuses biotech of crimes against humanity and so. Many of the anti-GMO activists here share his hate for biotechnology and if you look further about how this vile huckster has overtaken logical and rational thoughts, all you have to do is look at how well entrenched he has made himself. Let’s take a closer look at how intertwined ALL of the anti-GMO groups are to this deranged fellow that has swamped over the internet. This site is full of untested health food claims and GMOs are dangers quips. It’s a typical anti-GMO buy this latest health food and hate GMOs because it’s gonna kill you site. And it too loves Mike Adams! 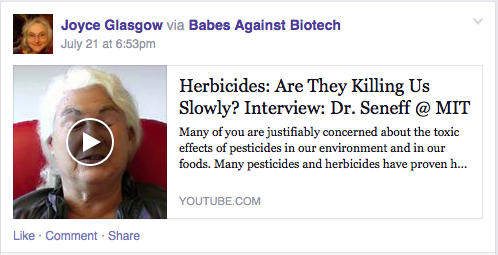 Want good science from the Babes Against Biotech? You’ve got it. 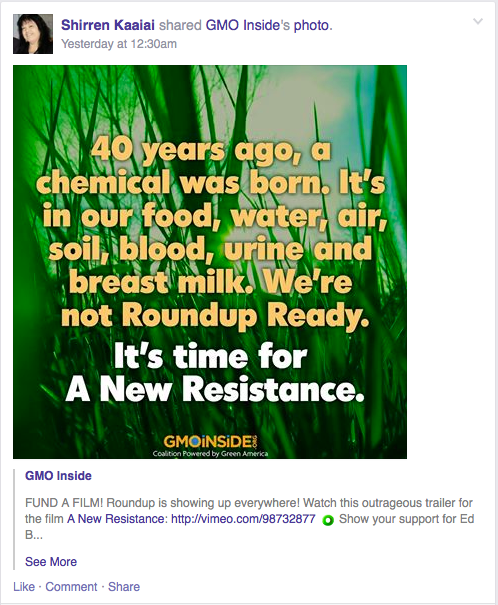 Straight from Natural News itself right on their site that touts “their resources!” Now we can see why so many of their followers keep thinking that every disease on earth is caused by Roundup and GMOs. Thanks Mike Adams! 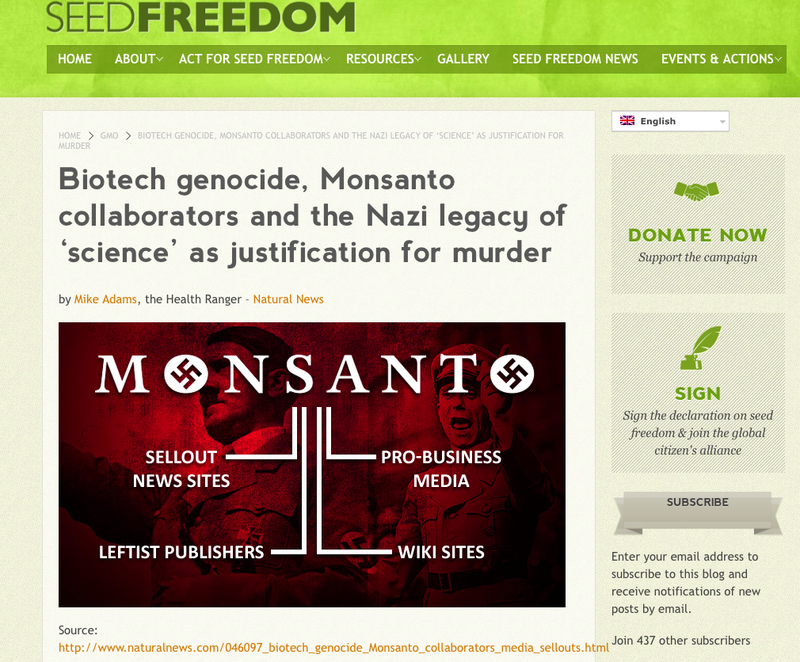 How is Food Democracy Now tied to Natural News? Well, he touts their petition on his page too and wants people to sign it! This bogus site is chock full of Agent Orange memes, GMOs are killing you, you are dying, and so on kind of information. Mike Adams loves helping these folks out! Just another lovely reminder that she not only supports violence towards biotech supporters but she also calls farmers “rapists.” Nature lovers are such lovely people inside. 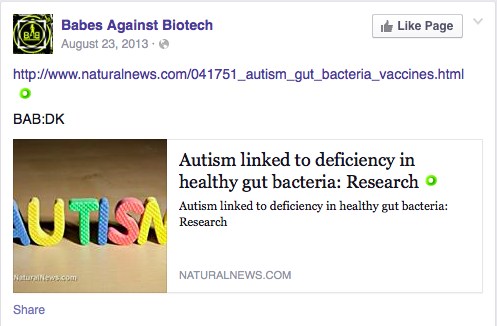 Then let’s see if Center for Food Safety is linked to Natural News and it sure is. 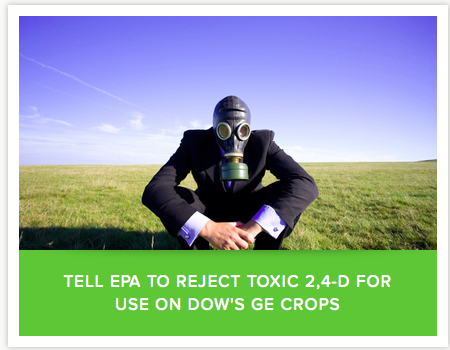 Mike Adams loves their anti-pesticide messages that he adds to his pages too! So when all these anti-GMO groups are put together we get their followers in Hawaii touting it left and right on those GMO Free groups across our islands. See how much they love this site! 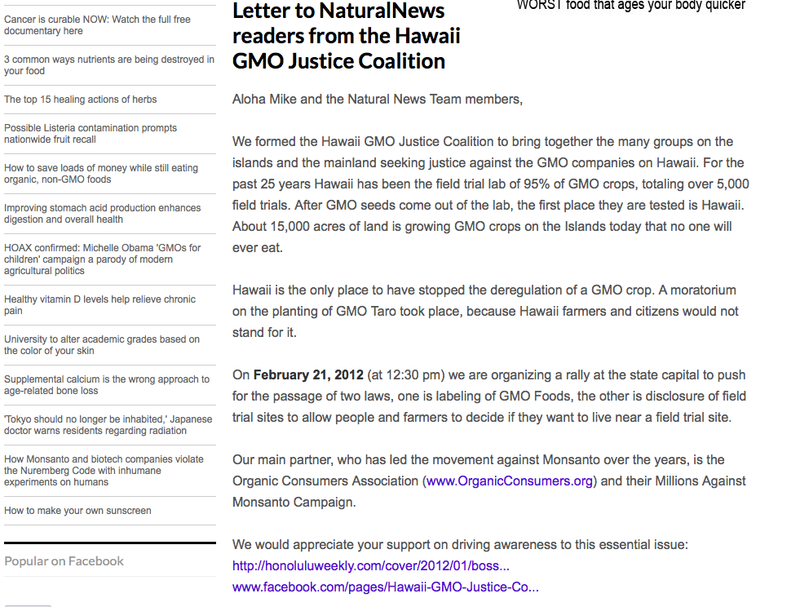 The Hawaii GMO Justice Coalition has sought Natural News out to call for their massive protest too. Note how they portray genetic engineering as a “crime against humanity” back in 2012. GMO Inside is yet another non-stop pusher of “label it” and “GMOs are killing you” kind of repetitive messages. Their latest tirade is that Starbucks is killing you with their GMOs and who do they use as their source of information? Natural News of course! 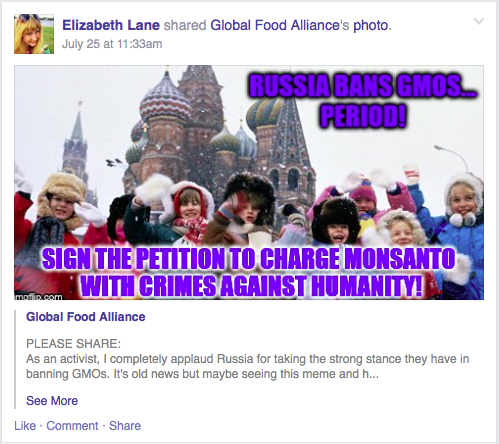 GMWatch is a Canadian based anti-GMO group that is hell bent against Monsanto, just like Natural News is. And why shouldn’t they be? They share his information too! 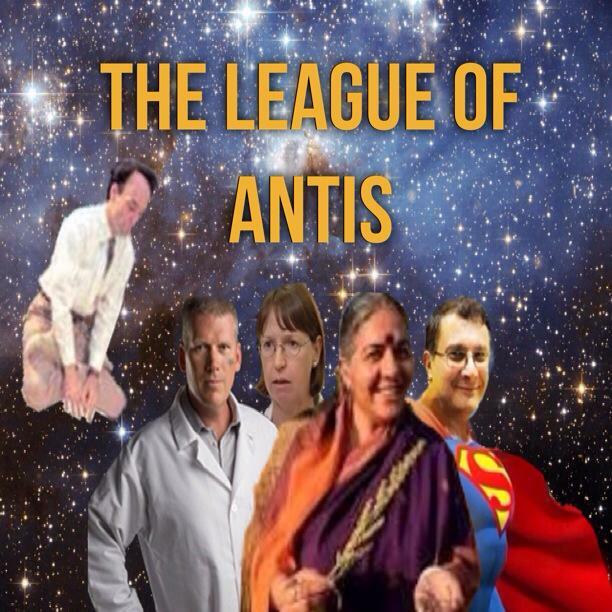 Jeffrey Smith, the flying yogic of the movie, Genetic Roulette, is also featured on Natural News Health Conspiracy Radio. How could he not be a part of Mike Adams’ tirade or paranoia across the internet?! He’s an essential component to all of this fear! Not only does Mike Adams adore Jeffrey Smith, but the love affair is mutual with Smith featuring his honored friend on his own website complete with a video! Here’s another local activist website based on Kauai that’s written by Ray Songtree called KauaiTruth.org. When you look at the top of his page, you’ll see his love for the Babes Against Biotech and Hawaii SEED. Go a little further down his page and you’ll see his “independent” sources of information and who is it? Natural News. Visit the GMO page and you’ll get more from Dr. Mercola, Dr. Don Huber, Vandana Shiva, Jeffrey Smith, and once again, Natural News. Sustainable Pulse is now the go to source for the Babes Against Biotech because they’ve sort of come to realize that Natural News is a joke and have “tried” to change their tactic. 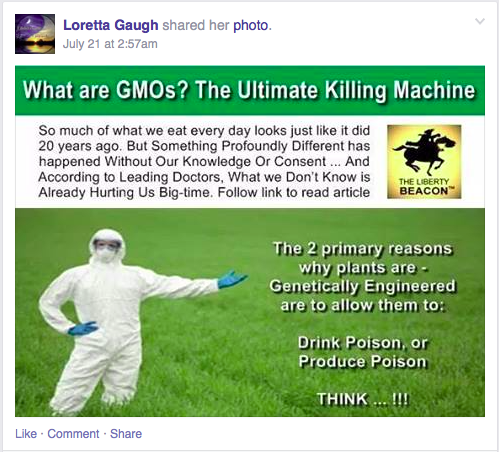 Nearly ever link on their Facebook page is from this “GMOs are killing you” site once again as everything else is pretty much debunked. How are they connected to Natural News? They do post stuff from them as “good and valid” information! 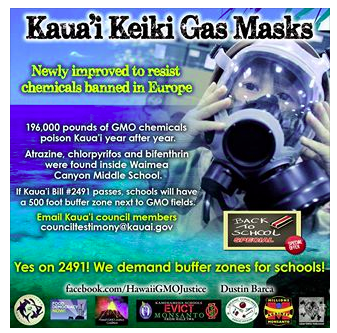 Kauai Rising is yet another anti-GMO group here in Hawaii that tried to get a petition to add change the county laws but did not succeed. They too support Mike Adams’ plethora of bad information. The SHAKA Movement is just another bunch of folks who are off on another planet but really are in California. I’ve written about them here earlier. If you go to their website, you’ll find links to many of Mike Adams bestie, Jeffrey Smith, the anti-GMO brothers of the internet. They are great at fear mongering too. 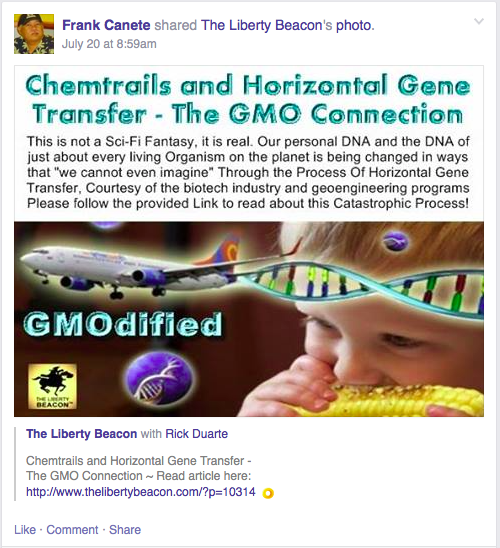 It’s pretty evident that this belief that biotechnology is creating a “crime against humanity” talk comes a lot from Natural News and so many other sites that share his beliefs. There’s no facts and the unwitting consumer easily gets sucked into its fear filled messages that they are being harmed. That’s why we have a very vocal bunch of activists who are crying for protections of this perceived “danger.” Take a look at how many posts from our very own politicians who spew Mr. Kill Biotech Supporters’ message and its clear that they all are drink from his cup of anti-GMO punch. Down to Earth even touts Vandana Shiva, a supporter of Mr. Kill Biotech, through Hawaii SEED. Hawaii County Council member almost repeats herself word for word to Mr. Kill Biotech’s tirades. She too must read Natural News! State Senator Russell Ruderman willingly aligns himself with activists like Mr. Kill Biotech and he’s pretty darn proud of it. 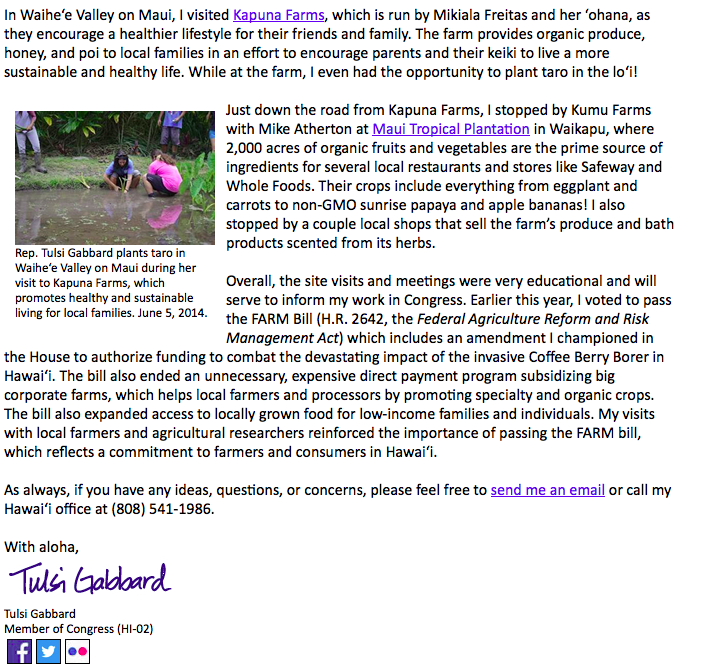 Even a Congressional Representative, Tulsi Gabbard, has read too much of Natural News from her funder, Down to Earth. 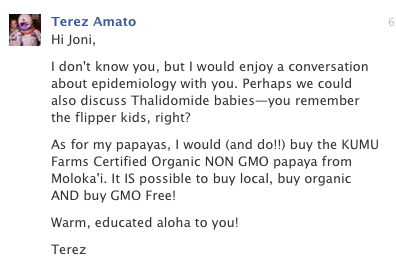 A State Senator wannabe, Terez Amato, also is believing in those health conspiracies that Mr. Kill Biotech touts. No wonder she thinks Thalidomide and papayas are related. 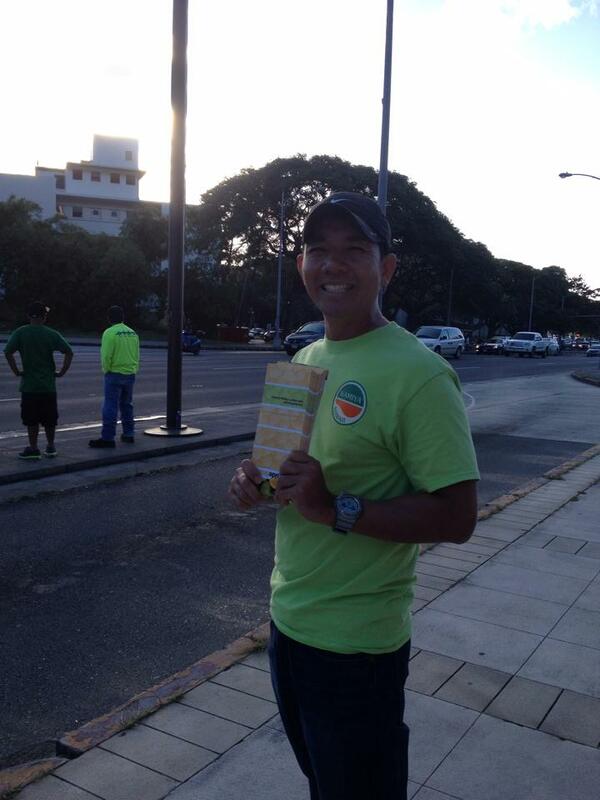 State House of Representative Kaniela Ing has also fallen in love with Mr. 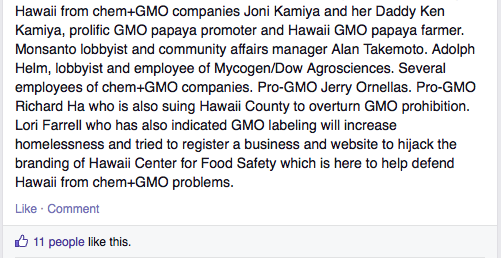 Kill Biotech’s message of “label it” with this review on the Hawaii Center for Food Safety Facebook page. Former Representative Wooley herself spreads the same message that Mr. Kill Biotech repeats over and over again. A lawyer at that can’t tell bunk science from real science! The Result of Poorly Informed Leaders= A Fear Mongered Public! As you can see, even Hawaii leaders can’t even decipher bad information when they see it and nor do they do their homework. They too fall for the conspiracy theories and “we’re being poisoned” attitudes that are prevailing in the conversations around biotech and agriculture in our islands. It shouldn’t be surprising at all that we see the same bunch of sites being shared among thousands and those thousands are scared, clamoring for politicians to save them from this perceived danger. When you’re so afraid of something, you act without thinking, which means sharing bad memes and bad links. As once can see, we have a ton of bad information, poorly educated politicians and a public prone to supporting kooks like Mike Adams aka Mr. Kill Biotech, now using this to make laws. No wonder those SHAKA Movement folks have somehow interpreted the Hawaiian gesture to no longer mean “what’s up friend” but “here’s the bird because I’m scared out of my board shorts.” A vote for the moratorium also means that you support this guy’s deranged message that biotech supporters should be killed. Do you really want to support that kind of messaging in our islands or are you willing to look further as to where you might be getting some bad information? Please do the latter folks and remember that childhood lesson to hang with the good kids and not this bad egg. If you’ve posted any of these websites, touted this information or even plan on voting for any of these politicians or the moratorium, you might just want to rethink your support of them. Supporting them means supporting Mike Adams and his message to kill people like myself and other farmers, scientists, and agriculture supporters like the ranchers and paniolos who base our decisions on real evidence and support biotechnology as a tool for our future. He has no aloha and neither do any of the people who back him up. The mainland based SHAKA Movement folks need to use their new interpretation of it and SHAKA this guy out of the way of our islands. 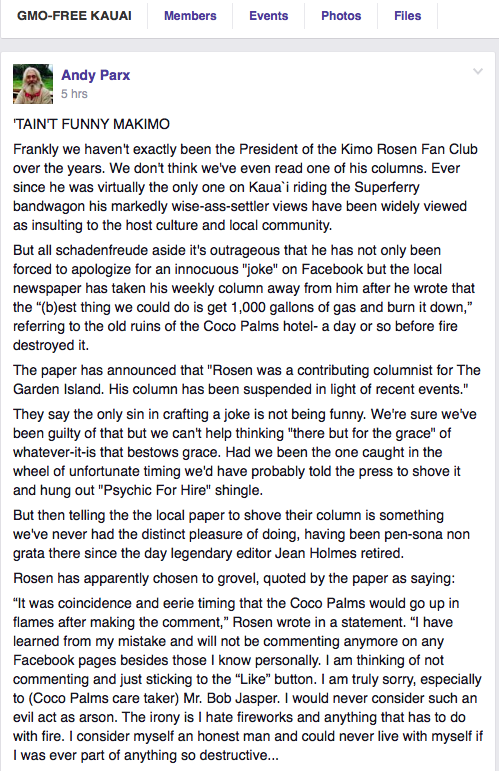 Better yet, get a good idea of who is this really is… A kama’aina or a kook? You decide. Who Can You Trust in the GMO Issue? I have to thank Dr. Kevin Folta for commenting on my blog the other day. What he said really got me thinking more about the anti-GMO club and why we have such a problem. It’s not just that they don’t understand the rationale of science and the process, but they also have problems with trust. Who are you to trust in all of this mass information on the internet? There’s so much conflicting information all over the place and how are you to navigate through all of this? I decided to put together a simple guide for how to figure out who is trustworthy and who isn’t. Read on! A huge red flag for me is that if someone is a celebrity and are touting being anti-GMO, I wouldn’t trust them for anything. For one, most of them have no training or education at all to make the claims they do and tend to jump into these hot topics for attention and fans. Here’s a great example of celebrities and their anti-GMO activities. Who can’t forget Roseanne Barr?! We haven’t heard from her much on the issue since she has refused to pay up her donation to the Babes Against Biotech. 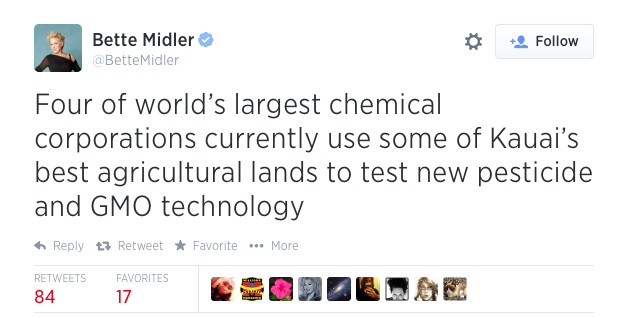 Bette Midler, a part time Kauai resident who jumped on the anti-GMO bandwagon. Darryl Hannah with the Babes Against Biotech leader Naomi Carmona at the Mana March. Kelly Slater, a professional surfer touts organic food. What do all of these celebrities have in common? First of all, none have any higher level education in any kind of science at all. I highly doubt they know much about DNA let alone farming and what it takes. Secondly, they all repeat the same Monsanto mantra word for word. 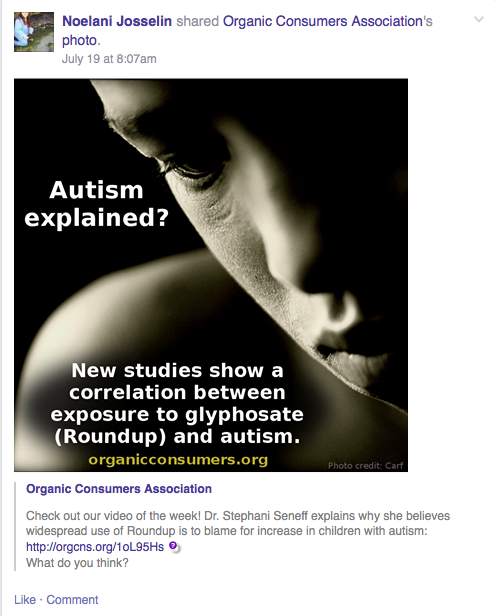 Thirdly, they all use fear in their messaging from you’ll get cancer and autism if you consume GMOs. None are independent thinkers and repeat the same messaging over and over again. And really, do you trust a surfer to tell you what to eat??? And think about it for a minute. Would you trust a plumber to build your house? 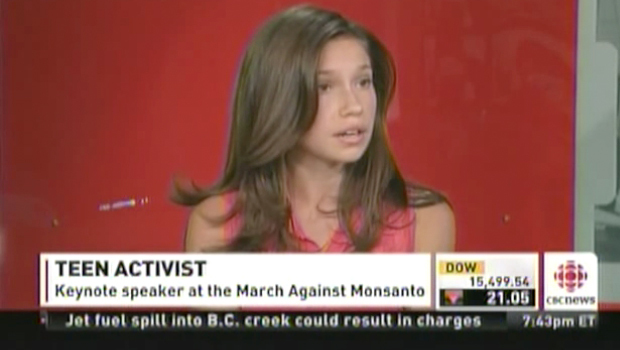 Would you listen to a teenager for your nutritional advice? Would you use a electrician to treat your illnesses? If you answer no to those questions, then why are you using a celebrity for what you eat? Do they actually have the right education and training to make the claims they do? Uh, no. They are there to sell things, act the part, but they aren’t for teaching anyone anything. TV is a lot of made up stuff so why go to the tube for “good” advice??? In this sense, common sense should rule. Common sense tells you that these are not the people you should trust for your information on agriculture, nutrition, and last but not least, biotech issues. It’s just as bad and making stuff up. That’s exactly what Hollywood and TV are good for though! Hopefully, you got to read the page I published on “The Most Misunderstood Concepts of Science and Thinking by the Anti-GMO Club,” to give you some basic tenets of this process. Key point is that science is not pick and choose what kind you like. It’s an evidence based meaning that you continually build data to bolster or reject your claims. We’ve had the pleasure of meeting quite a few “scientists” here in Hawaii courtesy of the tax exempt Hawaii SEED and other richly funded anti-GMO clubs. Charles Benbrook: Benbrook is an agricultural economist at Washington State University and science advisor for The Organic Center. He is the author of a widely panned study on pesticide use in GM crops. Judy Carman: Another active researcher and the author of a study on pigs which were fed GM corn. The study was found to be lacking in many areas. Stephanie Seneff and Anthony Samsel: These two are computer specialists that do not conduct research per se, but use algorithms to look for correlations. They typically engage in what I call reverse snake oil. Instead of a magic elixir curing unrelated conditions, they lay the blame for unrelated conditions on a single cause, usually glyphosate. They have the distinction of having a paper being used as a model for detecting a bogus scientific journal. 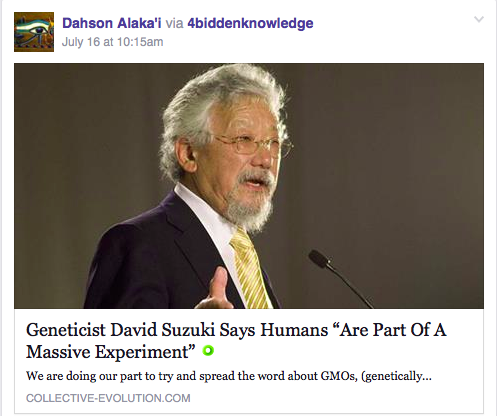 David Suzuki: Suzuki was a zoologist/geneticist and retired in 2001. Now he is an environmentalist who accepts the global consensus on global warming but falls short on accepting the global consensus on GMOs. His vague cautions against unknown risks apply equally to creating new crops from any form of plant breeding. The few times he has been confronted with hard questions have left him flummoxed. Thierry Vrain: Vrain was a soil biologist and genetic scientist for the Agriculture department in Canada. 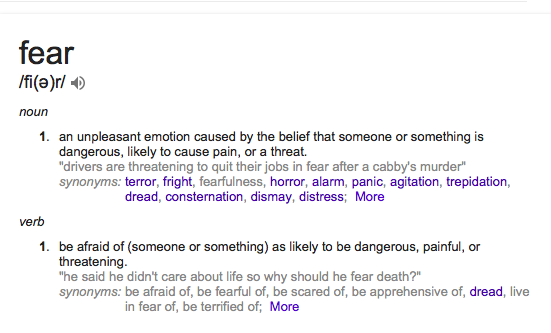 As with others in the gallery, he makes poorly sourced claims to elicit fear. Unlike some of the others, he really doesn’t specialize, his is more of an all-purpose type of misinformation. Jeffery Smith: Such a gallery would not be complete without Mr. Smith. He has no academic credentials. 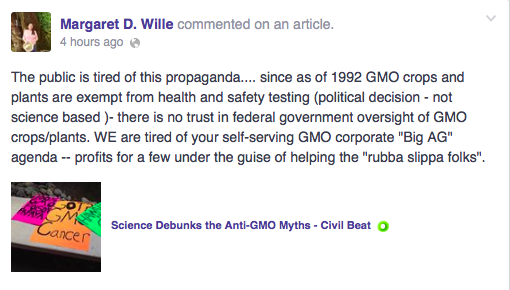 Not that credentials are needed to understand the science behind GMOs, but Mr. Smith has not made that effort. Like a lot of the rogues, he tours the paid lecture circuit making unfounded claims about the dangers of GMOs. 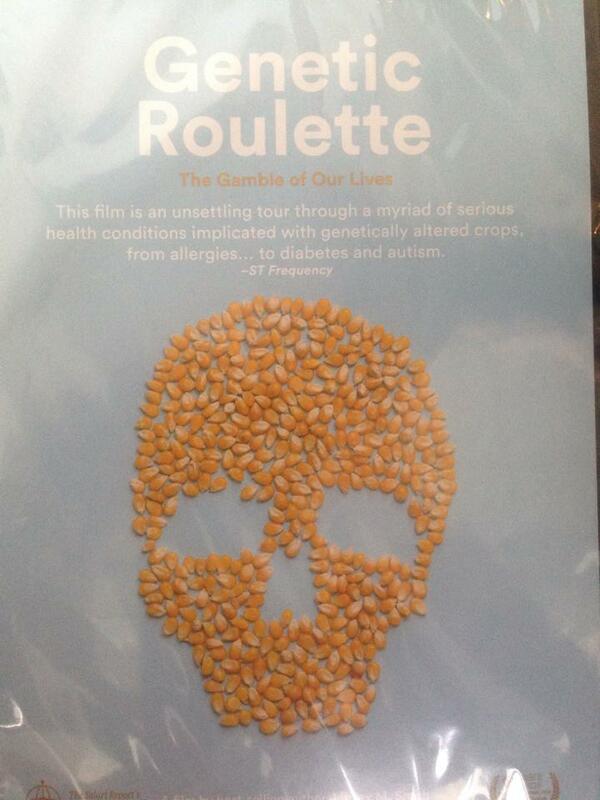 His seminal work is the novel Genetic Roulette, which has been thoroughly debunked. The active scientists in this group all seem to start with the end point they want to reach and then try to manipulate enough variables to achieve their goals. That is the exact opposite of how to conduct a good experiment. If you’re still “believing” in these folks, here’s some additional reading that you might add to see why the your links using them aren’t viewed as evidence. Press Digs into Anti-GMO Study–Journalists were the first group of people to wonder about Seralini’s lumpy rats when he asked them to sign a non-disclosure agreement with a hefty fine of a million euros if it was violated. Don Huber and the Mystery Pathogen–Video by Dr. Kevin Folta questioning this mysterious claims of Don Huber. A Generous Offer Turned to Dr. Huber Turned Down–Dr. Folta offers to study this so called pathogen for Dr. Huber with not a response. 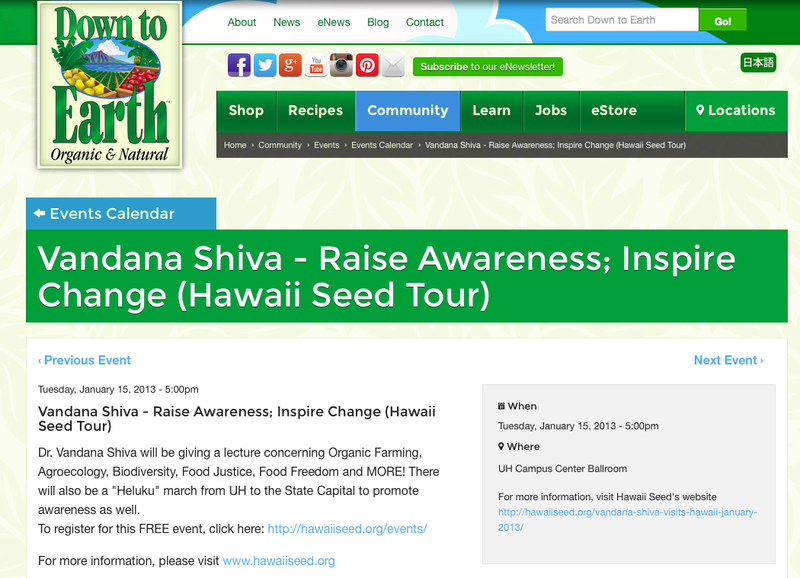 Wealthy Activist Vandana Shiva is a Poor Advocate Poor Advocate for the Poor–Shiva has made her rounds here in Hawaii and is said to make some $40K per lecture as well as asks for $10K for travel expenses. She also has an organic farm where you pay to work for free! Study of Organic Crops Finds Very Little–The recent headlines of organic food having more anti-oxidants questions the methodology used and the person quoted in it, Dr. Charles Benbrook, a well known organic proponent. Suzuki is Clueless–Video documenting Suzuki’s anti-science flip flopping on Sun News. Once More Bad Science in the Service of Anti-GMO Activism–Another take down of Dr. Judy Carman’s bad pig study. What do the Creationists and Anti-GMO have in Common?–Blog post by Fourat Janabi on why we should keep calm and carry on. GMO Skepti-Forum Thread on Dr. Thierry Vrain –A compilation of discussions on his claims and sources. 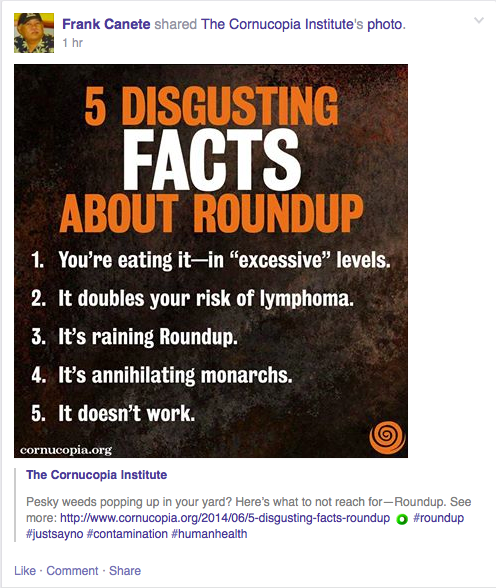 Condemning Monsanto with Bad Science is Dumb–A breakdown as to Seneff and Samsel’s claims and why it doesn’t help their cause. Tumor Incidence in Normal Sprague Dawley Rats–Scientist have known since 1956 that the rats used by Seralini has a high incidence of tumors. Is it a surprise that he got such results in his study? 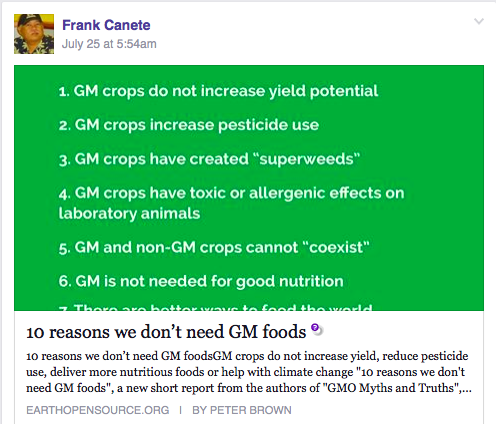 The cardinal sin that so many anti-GMO believers make is posting the same links as their evidence. When they post these links, it just shows that these people’s ability to cross check their information is very limited. The typical links that they post are Natural News, Institute for Responsible Technology, GMO Education, AltNet, Natural Cures not Medicine, Green Med Info, World Truth, Truth Deniers, GMO Seralini, Nation of Change, Dr. Oz, Dr. Mercola, Collective Evolution, Raw for Beauty, and anything GMO Free. What do all of these links have in common? They all sell fear and use partial bits of information to convey their side of “studies” and health claims. There is never any link to the actual study that they are talking about and it’s hard to figure out the actual source of information, but the antis will still use it as “proof” because they don’t know how to research and vet their information. Before you get scared of what you’re reading, stop and ask questions first. “Is that for real or what?” By simply starting there instead of adding that link to your “GMOs are dangerous” link file, you just might just save yourself lots of anxiety and emotional stress. If you choose to believe, you just might find yourself in a utterly hysterical state and might leave a nasty message for a state senator. Save yourself an apology and ASK questions first before you get yourself into a tizzy fit! It just might save your reputation if you care about it. Remember, if you read it on the internet and it tells you connect the dots, science isn’t about putting together a dot to dot puzzle. It doesn’t work like that. Someone sent me the following screenshot a few days ago about what the activists are saying about me. They are always chattering here and there about me so I know I must be ruffling some feathers with them. From stating that I’m poisoning my children or being infertile and full of cancer, they have lots of wonderful things to say about me speaking up against them. It never bothers me because what they say only reflects on how they really are as people. It’s funny how she now calls me the “GMO papaya princess and vicious attacker of the environmental and food agvocates.” Seriously, this is how small minded these activists think that by putting out facts about what her and her associates do is considered attacks. Facts really do hurt these folks apparently. Naomi Carmona, who has never farmed a day in her life or ran a business or grew anything for that matter, is now a professional in agriculture. That’s pretty amazing. She suddenly has expertise in agronomy, integrated pest management, human resources, accounting, marketing, public relations, social media, driving and repairing heavy machinery, sales and marketing, and food safety management. Those are all skills that farmers like my dad has and it totally overshadows the skills of any activists for that matter. There’s so much talk from activists about how they want more local food grown here but then they seek to lobby laws against farmers like the labeling law and pesticide laws. Farmers already have to deal with a huge load of laws from labor laws, food safety, environmental laws, tax laws, and so on. Then we want to pile on more regulations on them and point fingers and tell them, we want you to grow more food to this certain amount. Of course, no one talked to them to see if it was doable and what issues limit them if any. If people really want more local food, they will seek to make farming easier and more attractive as a career, not dissuade people from it. You can’t just say one thing and then do another as things just don’t work that way. If we want to meet these goals of more local food, we’d better start coming to the table together to see why it’s not happening and end the attacks. This kind of activism is dangerous to problem solving and only makes the situation worse. Farming communities can’t work together when outside people keep leveling attacks in misinformation. They are left to defend their work and are off of their fields. That’s not a good thing. Why do I keep speaking out against this kind of hobby activism fueled by fear and misinformation? I don’t want Hawaii to be filled with fearfulness of what the scientific process really is and the tools available to grow food. We should have open minds to discovery and further research on how we can improve what we’re doing, not just worried about the food we eat and whether it’s organic! We have the potential to help others in the world and meet our goals, if we allow it but many are using poorly sourced information and the heavy handed tactics of a wealthy, tax free, lobby to influence lawmaking here in Hawaii. I really do wish I was that papaya princess that Naomi thinks I am. I would have never spent hours after hours working my dad’s farm as a kid or worked in the papaya lab to help save his crops. I took a lot of science classes like chemistry, biology, organic chemistry, biochemistry, human anatomy and physiology, and physics as well as a business law class to open my mind to the world. I got a lot of dirt under my hands from NOT being a princess and I still love it. A princess would never get hate mails or nasty messages from Naomi’s friends like Jessica Mitchell, Terez Amato, and Dustin Barca. I would never have to work a full time job in the day because a princess never has to work and can do whatever she wishes. I also don’t sit around watch videos that are meant to scare and prefer to read science journals and magazines to know what’s happening in research around the world and here. My mind seeks information from cutting edge developments on how we can do things better and cleaner. I don’t watch scary stories made up by pseudoscientists and prefer to learn about someone named Norman Borlaug, since he’s the reason why most of us, including you, don’t have to farm and are free to protest across the islands. Unfortunately, the reality is that I’m not a princess. I’m a farmer’s daughter. I’ve seen the things my dad has gone through to get where he is now and it has not been a pretty journey. We were never rich and had the nicest cars or clothes and latest gadgets. I never got to eat out a nice restaurants or enjoy expensive things. Everything I had was earned through my own work. I have never created funding accounts to pay for me to protest or attend anti-GMO parties. I don’t go to concerts to protest things I don’t know anything about and spend money on expensive food. I don’t have that luxury at all and don’t believe in earning a living that way either. I prefer to stick to facts and live that honest life to my values taught by the hardest working person I know on this earth, my dad. So Naomi and the rest of the anti-GMO club, you can keep reading your Natural News, World Truth, and other naturalistic fallacy websites touting “your” facts, but if plan on tearing apart farmers that actually grow food and communities that rely on agriculture, you bet I’ll continue to expose the truth about this hobby activism. 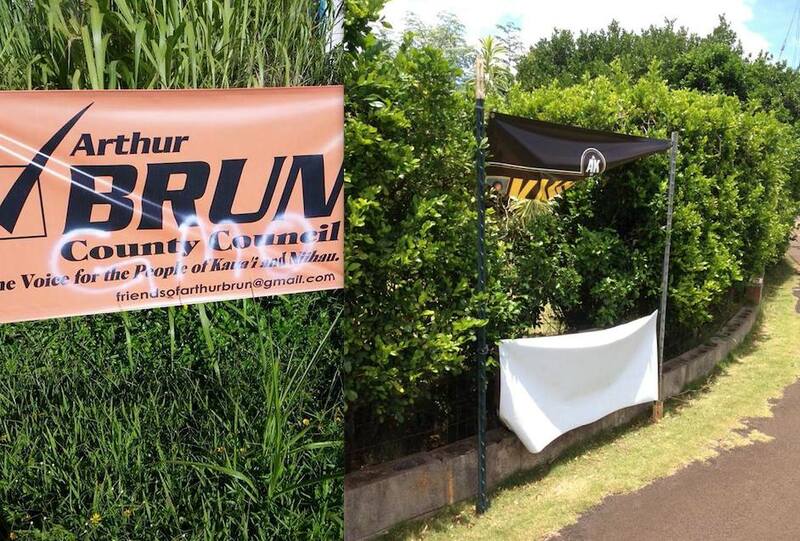 And by the way, can you please let your fellow antis know that we’d love to have these campaign signs repaired or reimbursed to Arthur Brun and Arryl Kaneshiro? That’s the pono thing to do and I’m sure you’ll see to it that this is remedied. Where’s the Environmentalists When You Need Them? Just over a week ago, there was big news that the feral cat population was devastating endangered birds on Kauai. There are several state and federal agencies working on solving this problem. It’s also happening on other islands too. It’s estimated on Maui alone that there are some 300,000 to 400,000 feral cats in the forests there that are having a significant impact on native wildlife also. Not only do these cats kill and endanger our native species, they are suspected in causing death among another endangered species, the beloved monk seals. The feces from feral cats and even domesticated ones are suspected in spreading toxoplasmosis in the seal population. Whether the contamination comes from run off into the ocean or dumped cat litter poured into the sewer system, the hardy eggs are making its way into the oceans and getting monk seals sick and killing them. It is amazing to me that with all the uproar by activists about the GMO issue, I hardly hear a peep about this very real environmental hazard to people, animals, and our oceans. With the thousands of protesters at the concerts and parties, where are they when the earth is really being contaminated and native species are dying? Earth is crying to be defended against these things and where’s that lawyer from Earthjustice to protect it? Where’s the people who is really saving our beloved a’ina when you really need them? I bet some of them are feeding those cats right now, completely unaware of the unintended consequences of their actions. 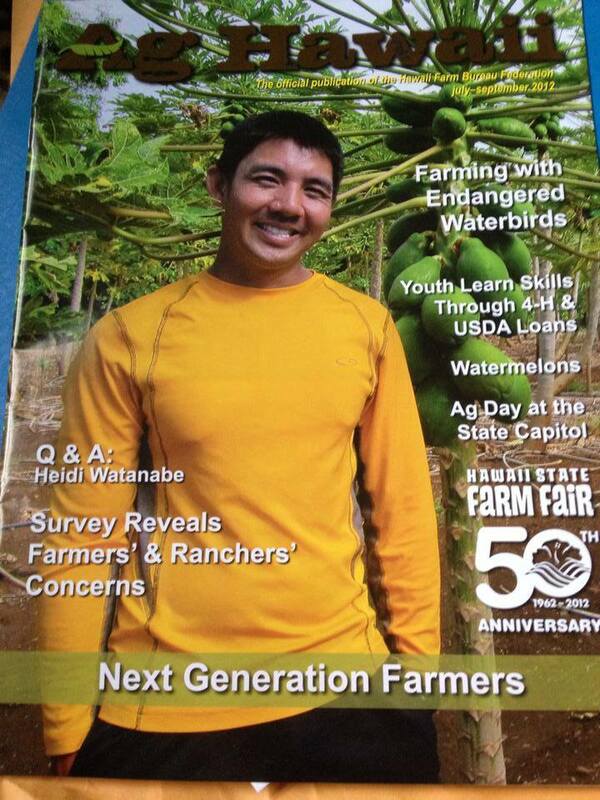 My brother is the third generation of Kamiya farmers to take over the farm. As a eager young person, he had his own ideas of how the farm should be run and how he should do things. My dad insisted on him learning the “tried and true” ways of doing things first but my brother decided to forge his own path, somewhat ignoring long timed learned lessons in farming. Being the patient guy my dad is, he decided, “Okay, you can learn your own way and find out for yourself.” Before long, after a short lived path of doing it “my way,” my brother came back to my dad and said it didn’t work. My dad knew that it would happen like that because he himself did that with his dad. My dad is now widely known in our state as the papaya king of sorts because of all the expertise he has developed over the years. He is also a respected leader in the community and serves on some agricultural advisory boards to help develop future practices for farming. As I’ve had the chance to meet people who know him, they speak so highly of him and really respect him for his work and leadership. He’s worked hard to get where he is and had a strong vision as a young farmer as to where he wanted agriculture to go in our state and beyond. From his early days in his early 20’s to well into his 70’s, he’s still going strong as a leader and voice for agriculture in Hawaii. I’d have to say that 50 years is a pretty sustainable career! As I think back on that story with my brother and learning my dad’s story of his path, I can’t help but think that we really do need to know our roots to remember how we will make decisions for the future. If we want to continue my dad’s legacy and leadership, we have to know him and what he has done. The further I ponder this issue, I realize that this idea of being a great leader and carrying on the torch also means the leaders too must know those who came before them. A leader that we should really take consideration of is the late Senator Inouye and how he shaped the Hawaii we live in now. The people of Hawaii are deeply indebted to the late Senator Daniel Ken Inouye. He was a visionary man that sought to keep our state at the forefront of our nation when it came to high technology, the military, agriculture, and astronomy, research and education. He wanted Hawaii to be at the top of things when it came to these issues and sought to it that it would happen here. He had a vision for our state and saw to it that it would become a reality. When asked about what he wished for when it came to his successors, this is what he stated in a interview with Hawaii Business News back in 2009. On December 17, 2012, we lost this great leader and have not found that true successor to his legacy in the current environment. We now have his appointed replacement, Senator Brian Schatz, making secession like statements of “home rule,” and Representative Tulsi Gabbard seeking to legislate a label against the very technology that Inouye sought to support in Hawaii. On the lower level of governments, we have legislators like Representative Kaniela Ing, Representative Jessica Wooley, and Senator Russell Ruderman talking about home rule and fear mongering over biotech and leveling attacks against agricultural issues. On the county level, Council members like Margaret Wille, Brenda Ford, Gary Hooser, Tim Bynum, and even Mayor Billy Kenoi enacting laws that ultimately hurt future research and agricultural advances in our state that will affect the very research center that was renamed after him. Even his own party, there was talk of being anti-technology in their environmental caucus discussions. I find it very sad that this is has all happened in just the two years that he passed away. Have our leaders all forgotten the legacy of this man? Great leaders with a clear vision are not subject to trends of the moments and activism. Senator Inouye was not one of these leaders, which is why he was able to sustain his leadership and build the Hawaii he wanted. Not everyone agreed with his programs and stances, however, he used best practices and researched where technology was going and stood his ground. He stood up against the critics and carried on to achieve that goal he had in mind for Hawaii since he knew that is what needed to be done. He neither pandered to voters either when it came to controversial issues. Evidence, logic, and reasoning was his guide, not popular opinions. In our current political scheme, I just don’t see the kind of visionary person or leader stepping into the big shoes of Senator Inouye. Very few are able to create a vision of what they want for Hawaii and jump on the various issues without any clear goals or a direction to lead from, other than trying to win votes with the rhetoric of “I’m making Hawaii better.” They will repeat that they see the “big picture” but talk from a minuscule position showing their ignorance of how every issue is interdependent on each other. I’ve been taught my my dad to remember my roots as that will guide me for the future. Our future leaders too must remember our Hawaii roots of who came before and lead in that same way if we are to know where we are going and how we will get there. This week has definitely been a bomb of a week with the kind of things that have been coming out of your campaign. What it shows me is that you are both NOT about solving real problems in Hawaii, but more about contributing to the problems we have here. Representative Gabbard, the email you sent out this week really made my heart sink even further and given me even less faith about your ability to lead our state for a better future. I don’t know if you realize what happened to our farmers some 20 years ago with the devastating papaya ringspot virus. Let me just show you in photos what happened to my dad’s fields as well as hundred of other long time farmers. Dr. Dennis Gonsalves, a local boy from the Big Island, came along with many other researchers, to do something for the farmers instead of letting our state lose more of them. He solved the problem with biotechnology and now the papaya farmers are once again starting to thrive. Even third generations of farmers like my brother is moving in to the laborious but rewarding job of farming thanks to this technology. 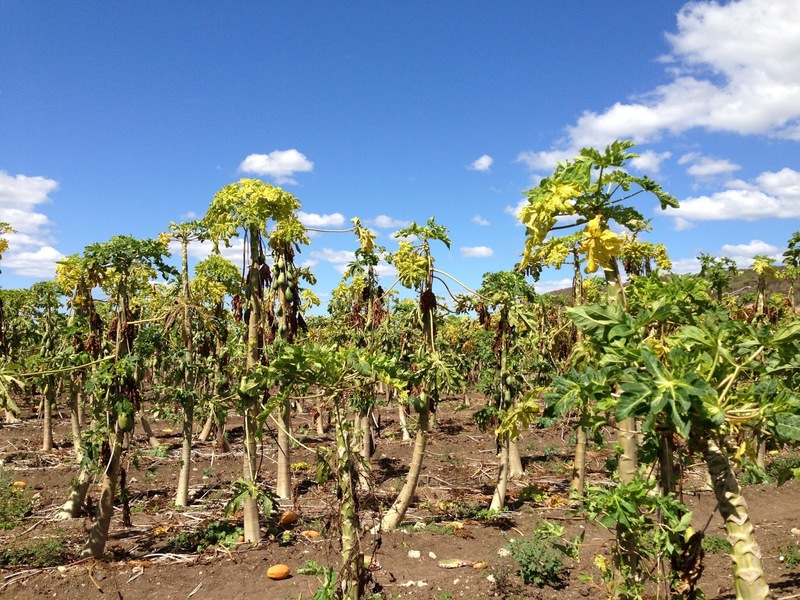 Kamiya Papaya is going on over 40 years thanks to research and technology. When you made that quip about “GMO-free” in your mailer, it really shows me that you’re ignoring the farmers that were saved by biotech and fueling the attacks against their fruit that is no different than those GMO free ones. Not all farmers are able to grow GMO free given the nature of this disease. 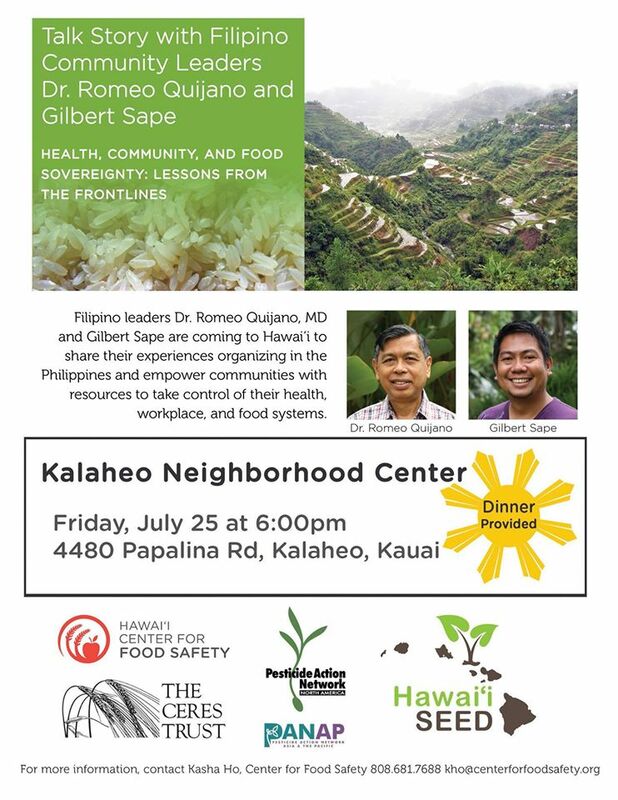 If you are really wanting those local and sustainable food supply for Hawaii, why are leaders such as yourself participating in attacks against people who are growing food in a local and sustainable way? It just doesn’t make sense to me. Representative Gabbard, you might want to know that nearly 95% of Hawaii’s papayas are GMO because the disease is so rampant here. You’re speaking against the majority of the farmers here and it’s downright sad that you can ignore that. 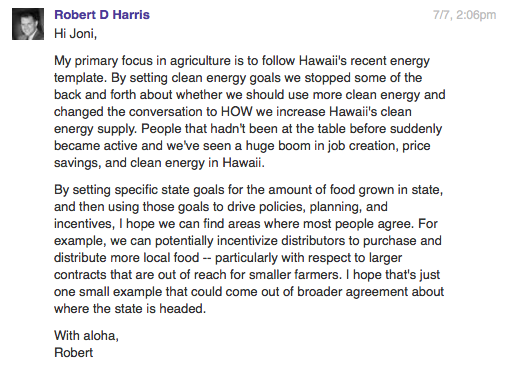 And now, your colleague, Senator Brian Schatz is joining in on the half thought out statements to divide and attack Hawaii agriculture by adding this to fuel the fire even more. I can’t forget that this “Senator” also fell for the Monsanto Protection Act stuff that there isn’t any mention of, except on conspiracy theory activists sites. This kind of behavior only shows me that he doesn’t do his homework to research the real issue and relies on the expert advice of loud Google scholars. And note that Monsanto helped to pay for the research to solve the papaya ringspot virus and donated that technology to the farmers and then donated it to the University! He must not realize that this stance on home rule has real consequences for real people. The best example is on the Big Island papaya farmers were subject to a GMO ban but then exempted. How could these farmers ever defend themselves against this kind of laws with the kind of incomes that they have? Think about all the time that was lost having to defend themselves against a stacked Hawaii County Council filled with prominent disinformers such as the flying yogic Jeffrey Smith and “correlation equals causation quack” Stephanie Seneff on board to “educate.” Sitting in the wings were the real scientists and those with real data limited to a mere 3 minutes while the rest were allotted the majority of the time. 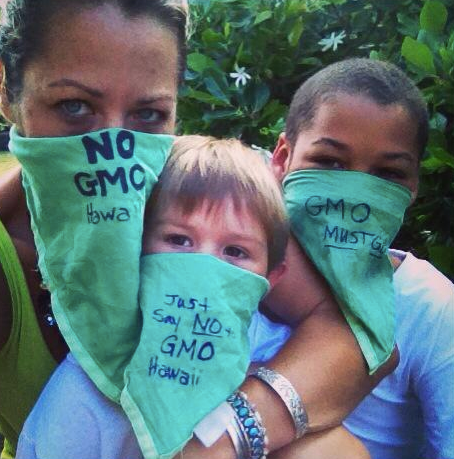 Gifts that were passed out at the Maui GMO moratorium hearings yesterday. Fear mongering at it’s best! So Senator Schatz and Representative Gabbard, I’m not pleased with you at all with your lack of ability to see the unintended consequences of your stances. You are clearly responsible for instilling discord and misinformation to permeate in our islands. You are about creating divisive communities like Kauai and the Big Island. You’ve allowed the radicals that don’t speak for local folks to dictate laws in Hawaii. Your words tell me that you don’t stand for the kind of Hawaii I want. The fact that you want to support home rule and GMO labeling only shows me that you’re about trendy activism of the moment and not considering how it will ultimately affect your constituents. Home rule will mean more money at the county level to fund such laws and taking resources from taxpayers to fund the lawsuits that will undoubtedly happen with bad legislation. Goodbye to recreational programs and human services programs offered at the county level because those are always the first to be cut. Aloha to clean and maintained public beach bathrooms that are on county parks. Everything has its cost and we will all pay for it. It will come in the form of more fees and property taxes as the likely source which will only raise the cost of living on that “middle class” that you claim to protect. Is that how you’re planning on protecting the middle class by burdening us more each day? I can’t forget the fact that Schatz too mocks the Republican party for denying climate change and he himself should be mocked for supporting that evidence, but then denying the evidence around GMOs. Are you a pick and choose politician just like those you mock? Senator Schatz, I think you need to learn about Mark Lynas who can teach you a thing or two. The labeling issue also shows that Representative Gabbard wants people to pay more for food because it will completely change the whole food system and segregation. At least on the Federal level, the cost can be distributed among 313 million Americans rather than a mere 1.3 million Hawaii residents because of the activists’ curiosity and inability to find that little green organic label. Of course, those politicians who don’t do their homework will say that it’s a right to know but for others, we know that it’s far from the truth. I’m really tired of poorly educated politicians who jump of the half-read, don’t do your homework, hobby activism bandwagon already. My cost of living keeps going up, my kids educational opportunities are going down, politicians don’t know how to research issues themselves and use peepholes to see the big picture, are really messing up the future Hawaii I want for my kids. I don’t want a that state ignores the world around us and is fueled in fear and ignorance. I want that bright future where research, curiosity, and ingenuity are the center of our society. Our leaders should be the very ones nurturing that or they should get out of the way!